Explore St Albans and the surrounding countryside using our list of favourite Spring walks to inspire you. The English spring has sprung upon us in its special way. Buds are bursting on branches, birds are filling our parks and woodland with song and the warm sunshine is tempting us to get out there for a walk in and around St Albans. Whether you want a family-friendly hour or two in the fresh air, a quiet ramble through bluebell woods and wonderful views or a spot of time travel in the company of a knowledgeable guide, let our list of favourite spring time walks inspire you to explore our fascinating city and beautiful surrounding countryside. Running for 6.5 miles, the Alban Way travels along the trackbed of the former Hatfield to St Albans branch line of the Great Northern Railway. With a smooth surface and many access points, most of which are ramped or level, it’s a safe, accessible and traffic-free route for walkers and cyclists. The Alban Way isn’t just for people, it’s green corridor for many plants, insects, birds and animals. Keep your eyes open for natural wonders, unique artworks and you may be able to see the former railway platforms in the undergrowth. A beautifully landscaped green space down the hill from St Albans Cathedral, Verulamium Park is where the city comes to relax, exercise and play. Its ornamental lake is home to many types of waterfowl and wildlife, including a heron colony and a family of terrapins; and it’s encircled by a smooth and flat walkway. Keen-eyed strollers might even spot a jewel-coloured kingfisher on the River Ver running alongside. A little beyond the lake are remains of the Roman Wall, a children’s playground and watersplash zone, tennis and volleyball courts, an arboretum, an outdoor gym and a complete Roman hypocaust. Phew! After experiencing all that, the park is fringed by pubs and cafes to catch your breath and rest your legs. Britain’s largest new forest has more than half a million trees, pockets of ancient woodland, wildflower meadows and fantastic wildlife spotting on the edge of the city limits, next to the village of Sandridge. In the spring, families flock to see the spectacular carpet of bluebells in the woods and wander the trails that weave through the meadows, alongside hedgerows and across parkland. There are routes for horse riding and cycling throughout Heartwood too. Wander through to the south-eastern part of the Forest and you’ll find a community orchard of 600 fruit trees that has been planted by local children. The family home of the Viscount and Viscountess Grimston is host to the Roman Theatre of Verulamium – the only one of its kind in the UK – together with the ruins of shops, a villa and a secret shrine thought to date from the first century. Roman history isn’t the only reason to visit Gorhambury. Take a walk or cycle ride along Gorhambury Drive through the estate alongside fields of sheep and below soaring red kites to the ruins of Old Gorhambury, the house built by Sir Nicholas Bacon (1510-1579), Lord Keeper of the Great Seal during the reign of Queen Elizabeth I and father of philosopher and statesman Francis Bacon. The settlement of Wheathampstead is one of the oldest in the country, with a timeline extending back 10,000 years. There are a number of walks into the countryside from the centre of this lovely village, where the River Lea flows between ancient homes and pubs. It’s worth taking a stroll through the village itself, if only to see the only publicly accessible Crinkle-Crankle wall in Hetfordshire. Venturing further afield can take you past the site of the cottage where John Bunyan preached, along the bottom of 2,000 year-old Devil’s Dyke and into the grounds of Brockett Hall, from where you can reach Shaw’s Corner, the home of writer George Bernard Shaw and now a living museum. Halfway between St Albans and Harpenden is Childwickbury, the private estate owned by film director Stanley Kubrick and still home to his artist wife Christiane, founder of the annual arts fair held in the (very grand) stable block built by another previous owner; furniture magnate and racehorse owner Sir John Blundell Maple. The small but perfectly formed hamlet built on the estate features a church built by Sir George Gilbert Scott (architect of The Albert Hall and St Pancras Station). Almost completely traffic-free, Childwickbury welcomes walkers on some estate roads where you can wander past grazing livestock and ancient woodland in a picture-perfect landscape that hasn’t changed for centuries. From April to October, you can take a walk around St Albans in the company of a knowledgeable and entertaining tour guide. These qualified guides can tell you about a man getting his head chopped off, another one burnt at the stake, a third man bribing his way into Parliament, not to mention a woman who set fire to the town. And that’s without going on one of their (in)famous Ghost Walks. By the way, did you know St Albans is the home of the Ryder Cup? 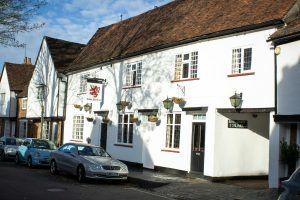 A St Albans Tour Guide will walk you through the places and people that made history in our city. 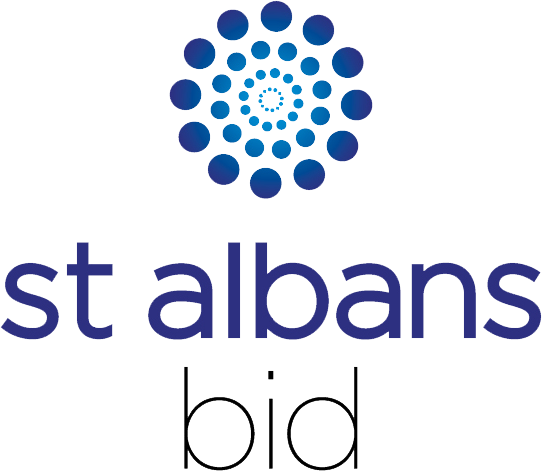 You can find more walks in the St Albans area using the links below. Wherever you walk, please respect the landowners and residents, follow the Countryside Code, keep to marked paths, take any litter with you, and clean up after your dog.